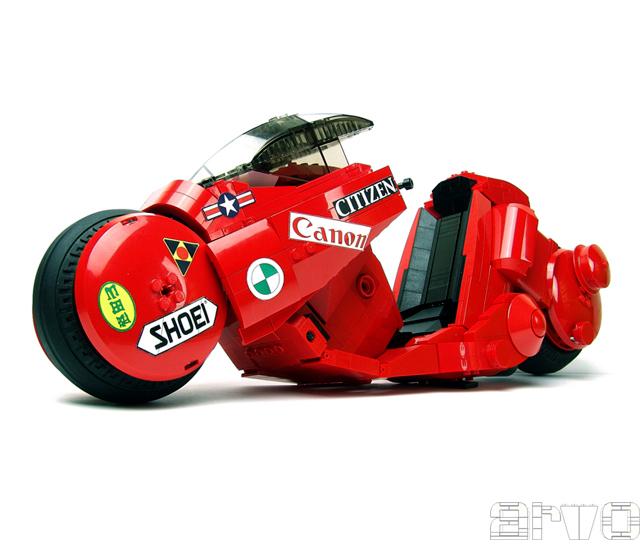 Shotaro Kaneda’s red motorcycle has become the unofficial symbol of Katsuhiro Otomo’s cyberpunk masterpiece Akira, beating out its memorable characters or even its visionary plot and themes. 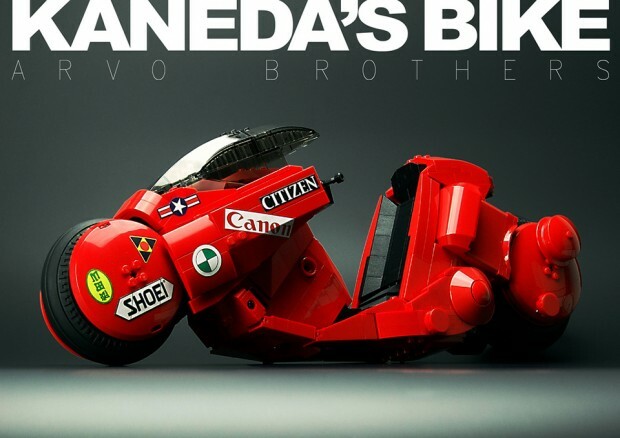 Two highly talented LEGO builders going under the name The Arvo Brothers pay tribute to Otomo by constantly working on a LEGO model of the bike. 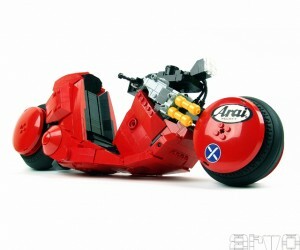 The Arvo Brothers have been working on the scale model for more than a decade and are now on their fourth version. Writing about their latest build on HispaBrick Magazine, the brothers describe it as “a stylised model that is not very aggressive, homogeneous, without excesses, but it works as a whole.” Their dedication to this single build led them to create a 200-page book about it. 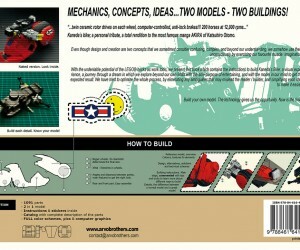 The Arvo Brothers will release a digital copy of their book for free. You can get it from them starting December 14 by contacting them at arvobrothers[at]hotmail.com. 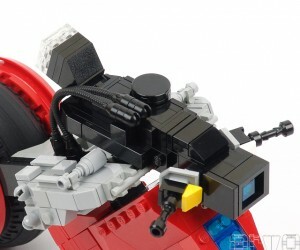 They will also make it available on their website, although they didn’t say when. Meanwhile you can read more about The Arvo Brothers and their scale model on issue 18 of HispaBrick Magazine, which is available as a free PDF. 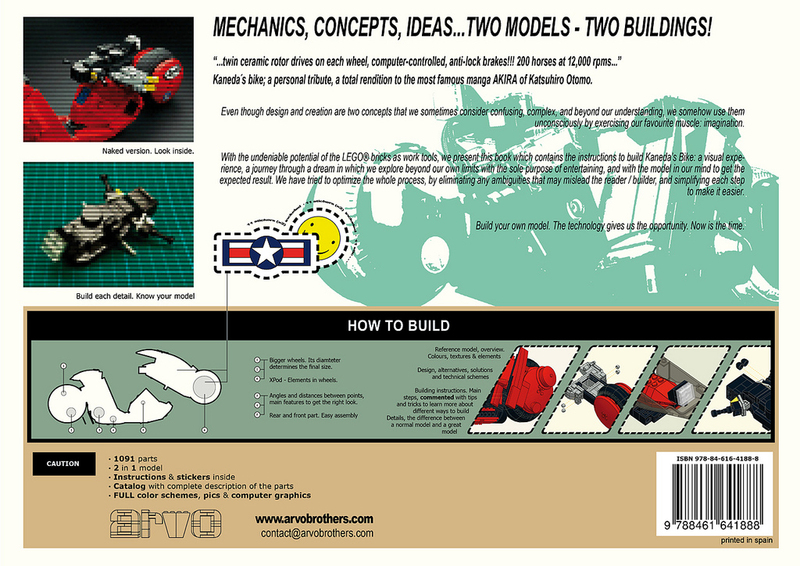 If you think that car_mp’s description of the book is mere hype, read the magazine and you’ll see just how passionate the Arvo Brothers are about their project. 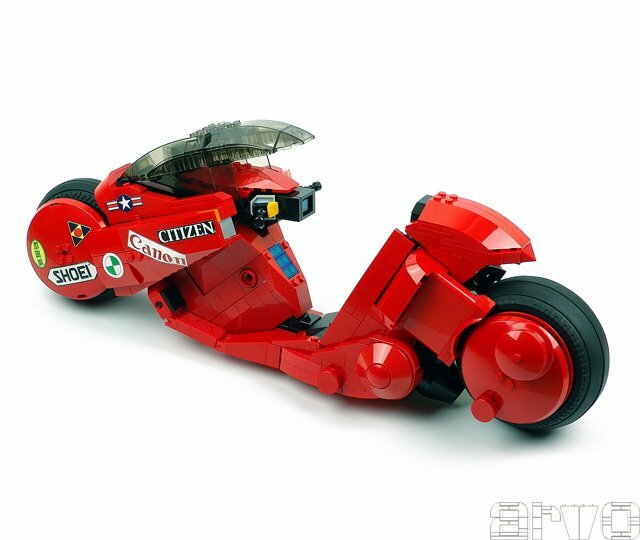 For instance, they wax poetic about the beauty of their model’s disproportionately large rear wheel. For better or for worse, these guys are consumed by their obsession. This entry was posted in Anime, Art, Comics/Manga, Design, Links, Museums/Exhibitions, Musings, Photo, Style, Toys/Collectibles and tagged Akira, anime, collectible, cyberpunk, HispaBrick Magazine, Kaneda, Katsuhiro Otomo, Lego, manga, model, motorcycle, Shotaro Kaneda, The Arvo Brothers, toy. Bookmark the permalink.